Dato’ Dr M Balasegaram, often referred to as ‘Prof Bala’, passed away on 5th May 2014 at the age of 85. 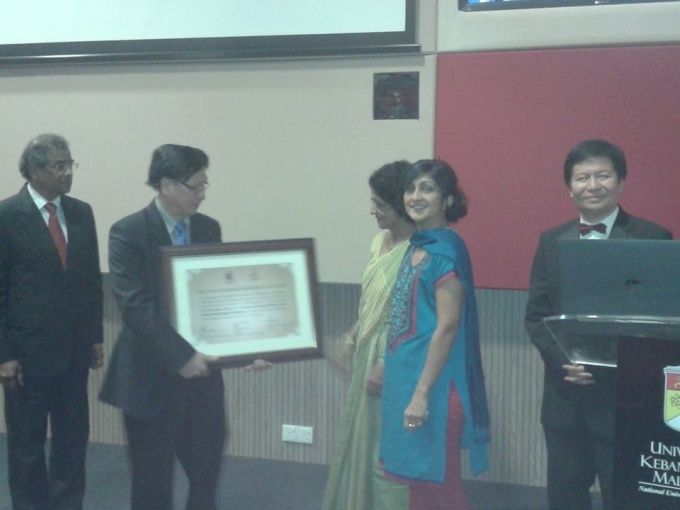 A memorial lecture was held at the Lecture Theatre of the state-of-the-art Advanced Surgical Skills Centre, UKM Medical Centre, Kuala Lumpur on 23rd November 2014 to honor his immense contributions to the development of gastrointestinal surgery in the country. A strict disciplinarian with rigorous standards, he groomed many of top surgeons. Dr Balasegaram is best noted for his pioneering work in liver surgery. He researched and added more information to the understanding of the anatomy of the liver, and subsequently simplified liver surgery with his new specially designed liver instruments. The lecture was organised by the Assoc Prof Hanafiah Harunarashid, the Director of the Advanced Surgical Skills Centre, UKM Medical Centre with the endorsement of the College of Surgeons, Academy of Medicine of Malaysia. 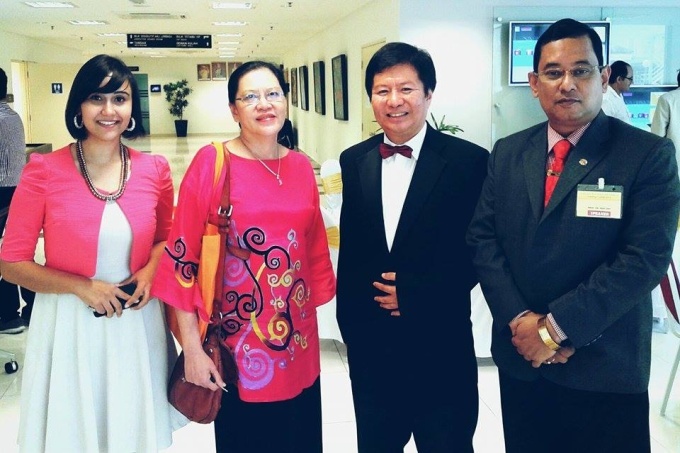 The lecture was delivered by Prof Dato’ Dr P Kandasami. The family members of the late Prof Balasegaram and surgeons trained by him were present at the event. Prof Balasegaram was one of Malaysia’s most distinguished doctors, with an array of international awards for research that expanded the frontiers of surgery. He was the first Asian to be honoured by the Royal College of Surgeons of England’s Hunterian Professorship award (1969) and the first Asian to win the coveted Jacksonian prize, the highest prize in surgery (1971). He also won honours from the Royal College of Surgeons in ireland and the Royal College of Surgeons in Edinburgh – respectively the Abraham Colles Lecture and the Chienne Memorial lecture. 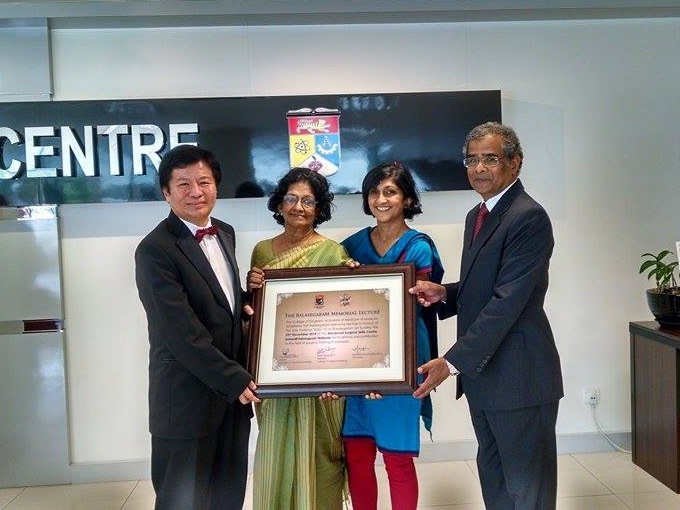 Prof Dato’ Kandasami in his lecture paid tributes to Prof Bala’s contributions to surgery and the profession. He spoke of how the practice of surgery has progressively evolved with the advances in technology. He spoke on the reforms in the training of surgeons to be tandem with the new developments. He spoke of training and assessing surgeons in skills centers using simulators. He said competence-based advancement rather than time served shall be the standard in the surgical training. The coordinator of the lecture, Assoc Prof Hanafiah said there is a need to build a training hospital for the future which includes the use of modern teaching methods and technology that will avoid the use of patients as a training material. Our aim is zero error, he said, citing the flight simulators to train pilots as an example.